Kato polymer clay is a clay that has become the subject of a lot of debate in the polymer clay community. Some have problems with it being too hard, while others love it for its strong properties. It’s one of the clays that people either love or hate. In the first part of this Kato Polymer Clay series, I am going to show you that there's a lot more to love about it than you may realize. Kato is quite easy to get hold of online and it's less expensive than some of the other brands. It costs around $2.50 for a 2oz block. It also comes in a 12.5oz block which costs around $16.50, though the larger size can be harder to find. The block on the right is a fresh block. You can see how it has changed shape with squeezing. It has a pretty long shelf life; about a year or so before it starts getting hard. However, you really want to try and get your clay as fresh as possible as it will make conditioning it much easier. 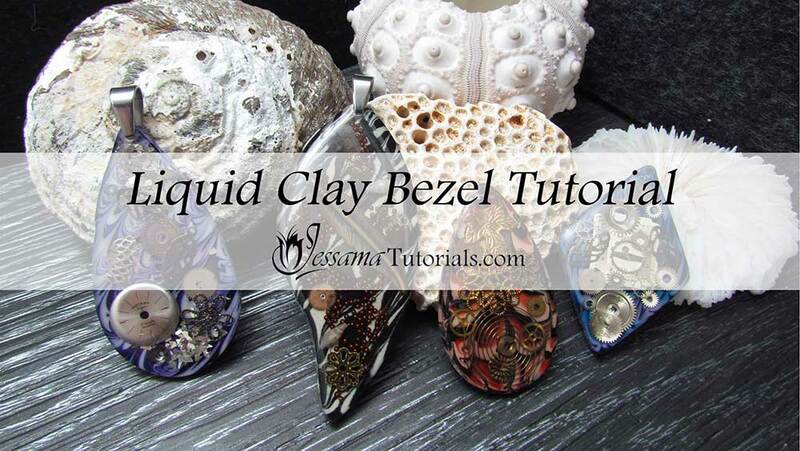 You should be able to squeeze the clay with relative ease. If it resists then it isn’t fresh and has probably been on the shelf too long. I recommend buying your polymer clay online. Often the clay on the store shelves has been sitting there for months before being purchased. 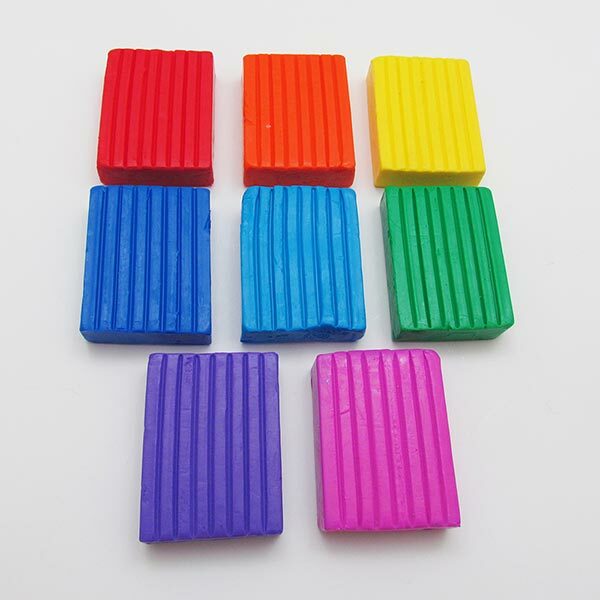 I have bought old Premo blocks before, which have been unusable. I have ended up throwing blocks away. 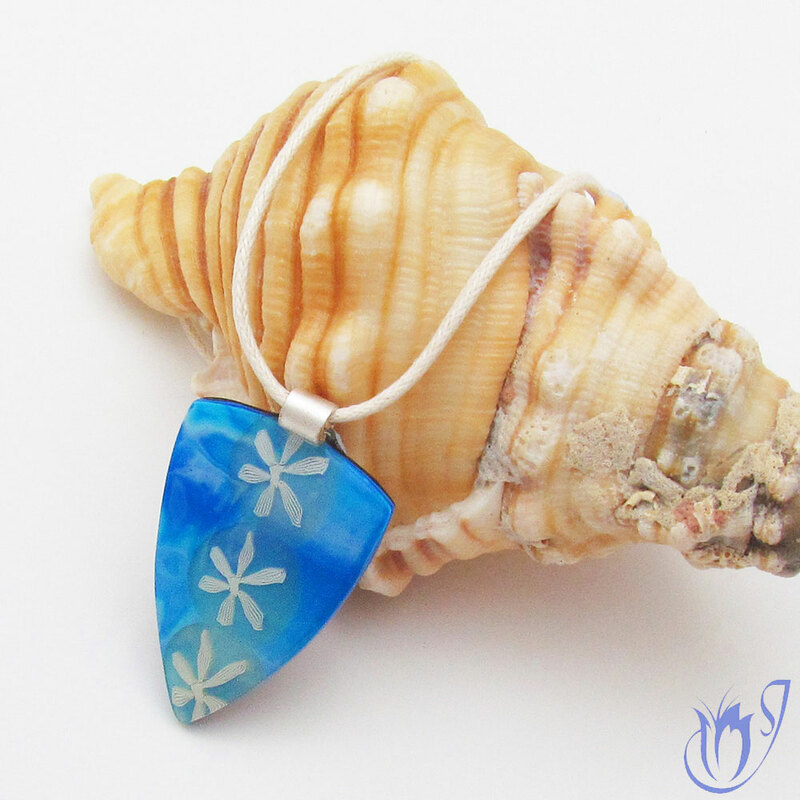 It can happen with any polymer clay brand, so check that the clay is fresh before you think that it is just Kato. 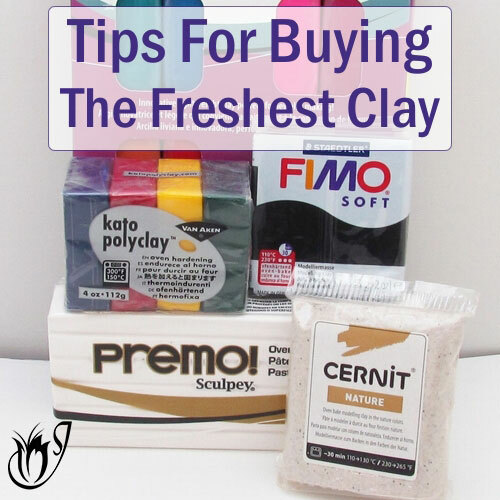 Here are my best tips for buying fresh polyclay, as well as, a list of reputable polymer clay suppliers. Kato is one of the only brands of clay that comes in pure colors. They’re made so that they’re as close to artists primaries as possible. 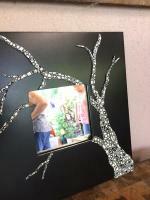 You can mix up any color you want with little risk of coming out with an unexpected or muddy color. The colors are bright and mix together to make some spectacular blends. There are 21 colors available: 8 spectral, 5 neutral (including translucent), 4 metallic and 4 concentrated colors. 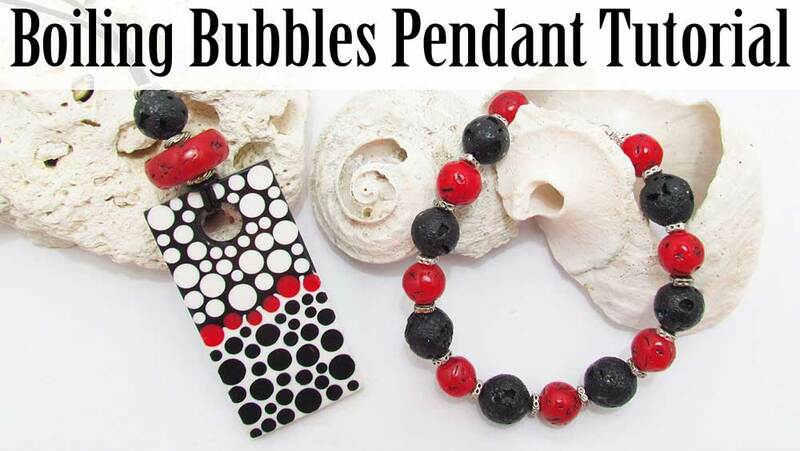 It also comes in 9 liquid polymer clay colors unlike many other polymer clay brands. The 8 spectral colors are quite translucent. They need to have one of the 5 neutral colors mixed into them to prevent them from looking like cheap plastic after baking. The 8 spectral colors: red, orange, yellow, blue, turquoise, green, purple and magenta. 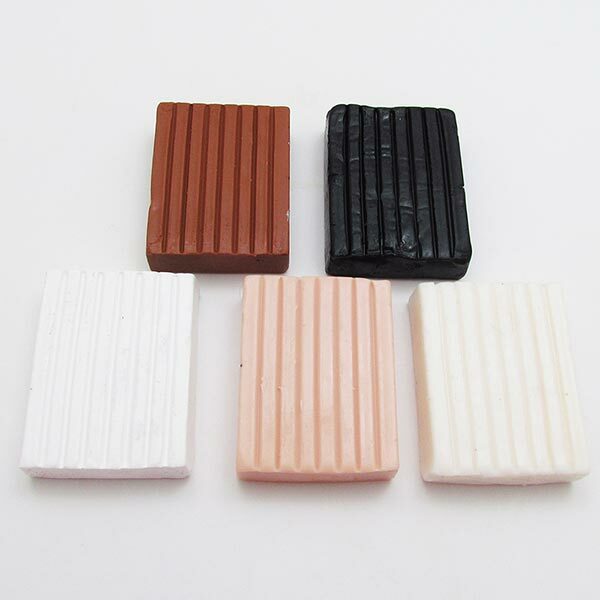 The 5 neutral colors: brown, black, white, flesh and translucent. The four metallic colors: gold, copper, pearl and silver. 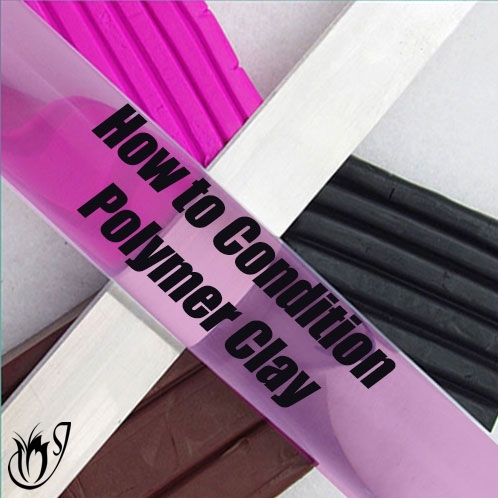 The 4 metallic colors have, arguably, the highest mica content of all the polymer clay brands. 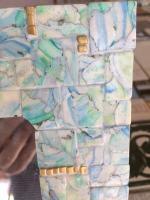 They can be used to make some beautiful mica shifts in gold, copper, pearl white and silver. But that's not all. Kato concentrates allow you to completely change the color of the clay without affecting the mica content in the least. 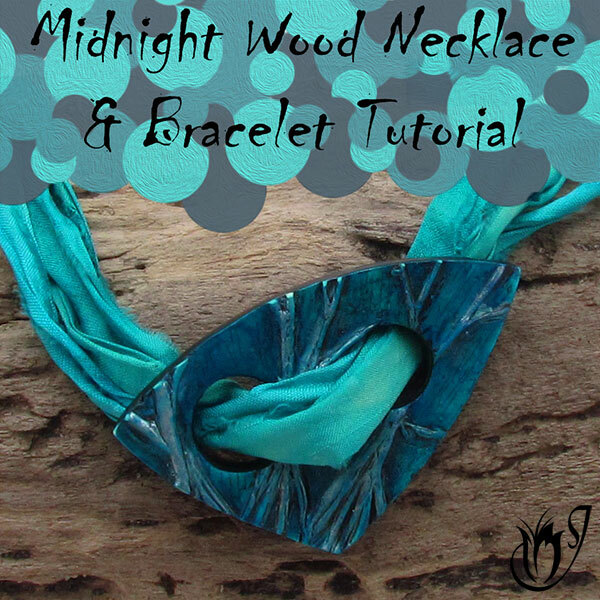 This opens a whole new world of mica shifts and metallic colors for you. You can see how Kato metallics compare to the metallics of other clay brands in Mica Clay Unwrapped. 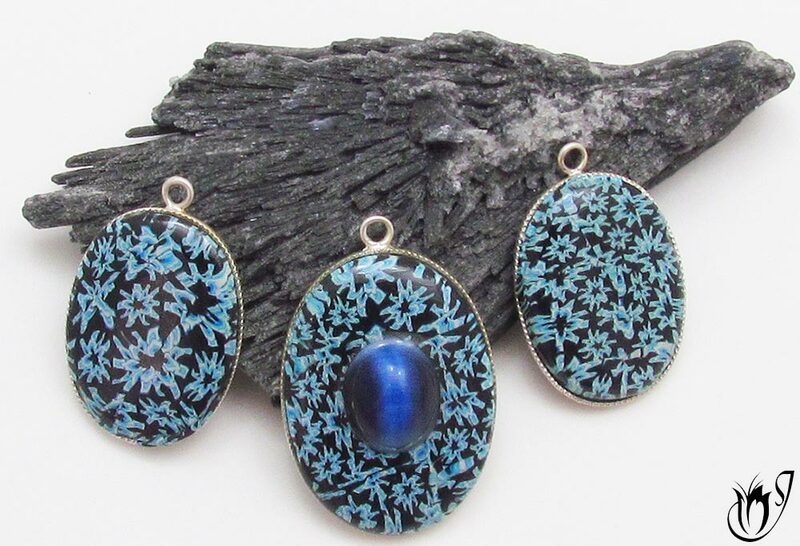 Polymer clay pendants with a blue concentrate mica shift and translucent canes. Color Shifting? - No Worries! Kato is also one of the few brands where baking causes only a minimal shift in color. You can also bake it as many times as you want and have it stay the same color as it was after the first bake. It is one of those brands that does better if you bake it for long periods of time. It bakes at 300oF (150oC) for about half an hour. The packet says to bake for 10 minutes, but I’ve found that Kato comes out better if baked for half an hour. When you do bake it, however, cover it up with a sheet of paper to prevent it from burning. 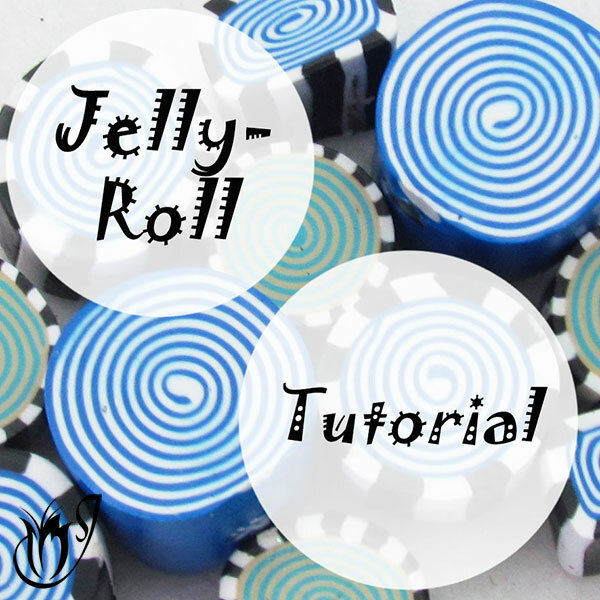 Find out more about how to bake polymer clay here. Kato (left) and Premo (right) have been run through the thinnest pasta machine setting. See how the Premo has rippled while the Kato hasn't. Kato clay has an oilier consistency than most other polymer clays. This means that it isn’t as sticky as other clays and won’t melt on a hot day. It also won’t take on fingerprints as easily as some other clay brands, which means that you won’t have to worry about using gloves. Because it doesn’t get sticky, Kato polymer clay won’t get stuck in your pasta machine and leave muck all over your rollers. It also goes down to the thinner settings more easily than some other clays, which tend to ripple and end up unusable. This clay holds out great in hot weather when other clays like Premo would simply be too sticky. It also keeps its consistency even when it’s kneaded and worked with over long periods of time. So if you have hot hands and find that other clay brands are too sticky, this clay with definitely be a great help to you. 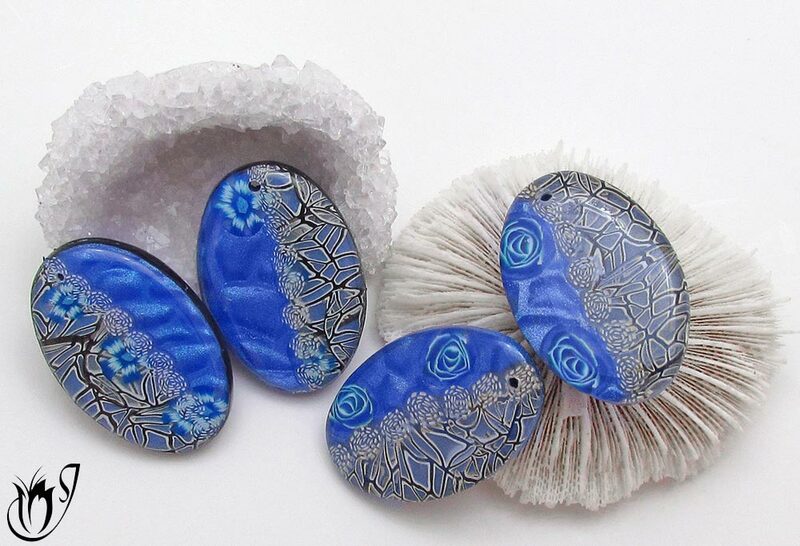 Kato clay is well known for being the strongest brand of polymer clay available. 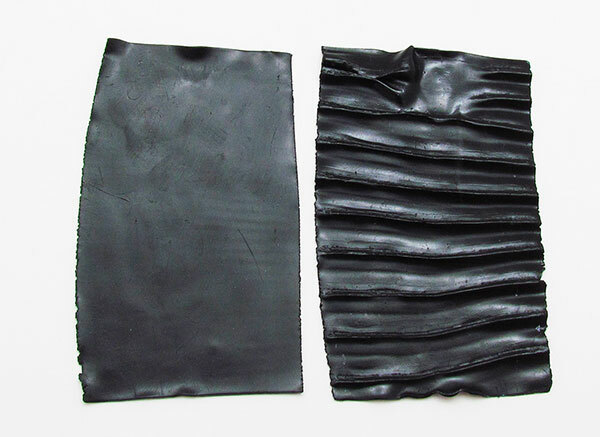 When baked, the thin sheets are resilient and flexible and take a lot of effort to tear. In thicker sheets it’s fairly strong and you’d have to put quite a bit of pressure on it to get it to break. It also resists scratches, so if you want a clay that’s going to hold up to wear and tear, this clay is perfect. The best use for Kato polyclay by far is caning. You can create complex canes with wonderful results using Kato. Because of its consistency it doesn’t distort like some other clay brands, so your patterns will remain sharp and crisp. And, because it isn't sticky, making last second adjustments to your polymer clay canes is much easier. One of my favorite polymer clay beads. Inspired by blue Chinese vases. Personally, I love Kato polymer clay, but I also use other brands depending on what techniques my project entails. I address the techniques I would not recommend Kato for in my Kato polyclay drawbacks article. Kato is readily available online. The Kato brand is relatively inexpensive in comparison with some of the others. It is one of the only brands that incorporates clays in pure primary and secondary colors. This makes color-mixing much easier and more predictable. Kato comes in 9 different liquid polymer clay colors. 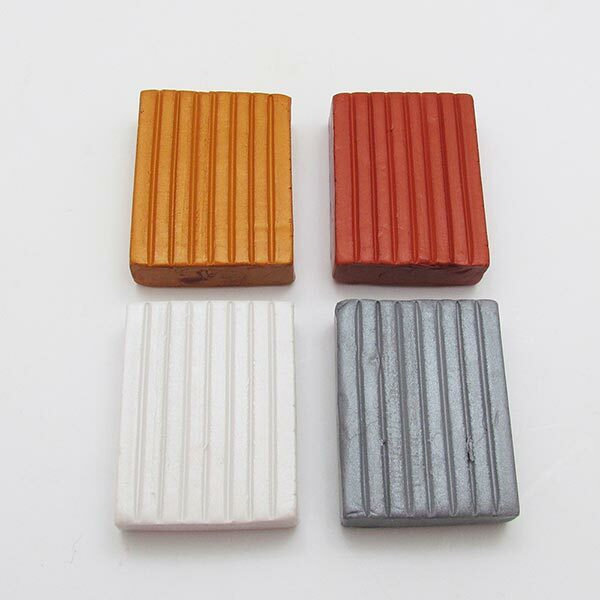 The color shift between raw and baked clay is relatively small. Kato has a non-sticky consistency. Kato is relatively easy to roll at the thinner settings on your pasta machine. It is strong when baked even at thin settings. And finally, it is great for caning. 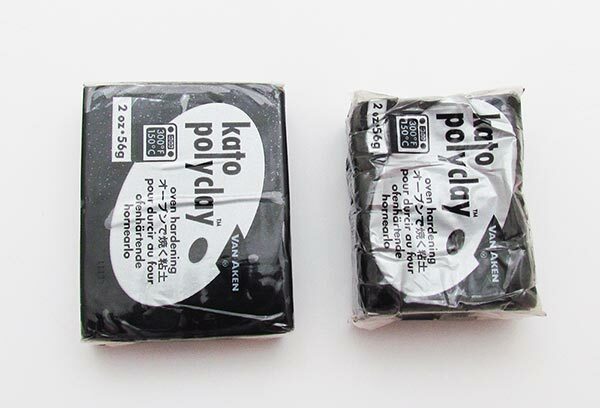 Is Kato Polymer Clay for You? A simple polymer clay bead compared to others, but still an understated beauty. Now for the important question. 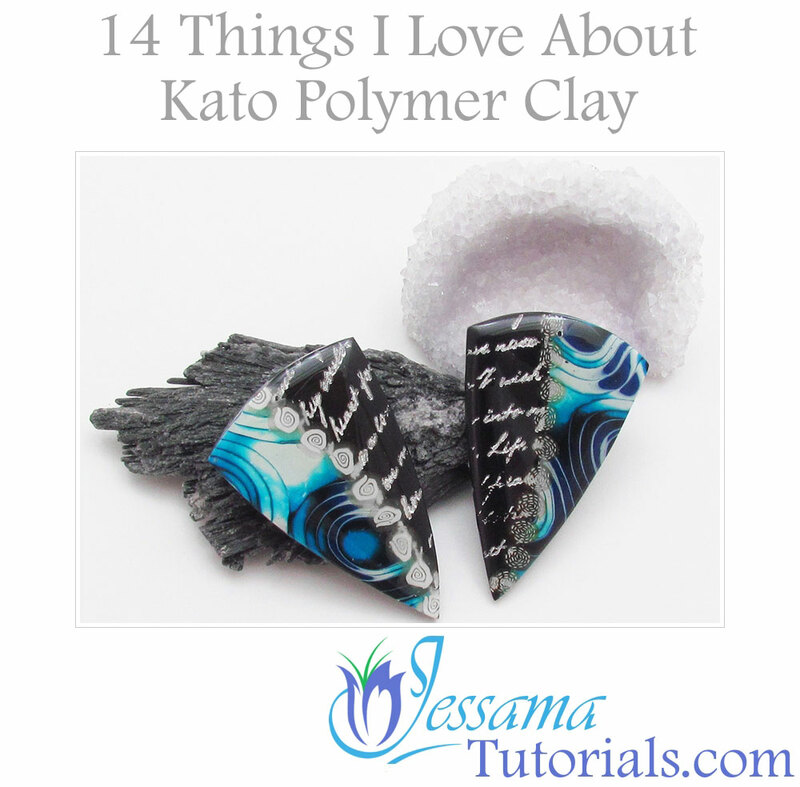 Is Kato Polymer clay for you? Well this depends on what you like doing and what climate you’re in. Maybe you live in a hot climate and are sick of getting clay stuck all over your hands. Perhaps you like caning and are looking for a clay that will suit your needs. Kato could be the clay for you. No one clay is best for all purposes and all circumstances. Although I do like Kato and use it a lot, I also use other polymer clay brands extensively depending on the requirements of each polymer clay project. The only way to know if Kato is the best polymer clay brand for your project is to compare all of the clay brands. That way you’ll be able to see which one suits you and your needs best. 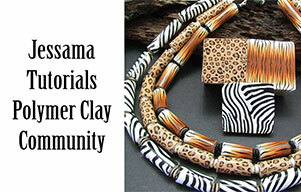 To see a comparison on the main polymer clay brands, take a look at my page: Which polymer clay is best? What do you use Kato clay for? Let me know in the comments below, and if the information on this page was useful to you please like and share with your friends.